Mr Sarela practices privately at the Nuffield Hospital and at the Spire Hospital in Leeds, West Yorkshire, UK. 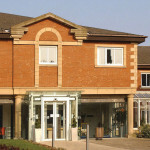 Nuffield Health Leeds Hospital is a leading provider of healthcare in the region. Benefiting from a city centre location, the hospital is underpinned by its commitment to clinical excellence and innovation. 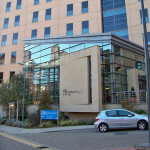 Nuffield Health Leeds Hospital is an independent, not-for-profit organisation and has charitable status. As a not-for-profit hospital, providing ethical healthcare is at the heart of its offering. Opened in 2002, our hospital was purpose built to provide pioneering complex surgery and was considered one of the most technologically advanced hospitals in Europe. The Nuffield Hospital provides 80 private en suite bedrooms, 8 bed critical care unit (intensive care), free car-park and complimentary Executive Car Service for insured and self-paying patients, 0% interest-free medical loans, Costa coffee bar and city view restaurant. Also, we provide free access to Recovery Plus, our flagship recovery programme. Recovery Plus includes a 3-month membership at a Nuffield Health Fitness & Wellbeing Gym local to Nuffield Health Leeds Hospital and the support of a recovery coach for those having weight loss surgery.